DPAS v7.0.00 is scheduled for release on Saturday, April 20, 2019. DPAS v6.3.40 is scheduled for release on Friday, March 15, 2019. DPAS v6.3.31 is scheduled for release on Friday, March 1, 2019. DPAS v6.3.30 is scheduled for release on Friday, February 22, 2019. DPAS v6.3.22 is scheduled for release on Wednesday, February 13, 2019. The Defense Property Accountability System (DPAS) is a Department of Defense (DoD) property management system. It is the Accountable Property System of Record (APSR) for over 32 DoD Agencies and Military Services. DPAS contains four modules, Property Accountability, Maintenance & Utilization, Warehouse Management, and Materiel Management. This program is administered by the DLA Logistics Catalog and Data Solutions (LCDS), a Portfolio of the Information Operations of the Defense Logistics Agency. DPAS has received multiple accreditations, visit our Reference Library to view and download these documents. 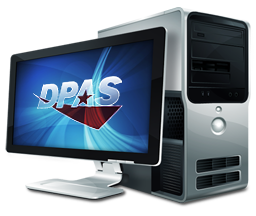 DPAS is 100% compliant with SSAE 18 Standards. For more details, please send a request to the OSD Comptrollers, Financial Improvement and Audit Readiness (FIAR) office to be placed on an email list that will automatically provide the report and bridge letter each year.